The pre-owned market inventory values have seen a constant increase since ASG began its market observation in late 2013. The most obvious contributing factor is the downturn of the oil and gas (O&G) industry, which began in 2013 and has subsequently impacted the utilization level of helicopter serving offshore oil and gas operations. From 2013 to mid-2017, ASG saw a high number of pre-owned helicopters (mainly O&G-configured helicopters) being place on the market for sale. On average, the inventory level (percentage of the helicopter fleet for sale vs. total fleet in operation) has risen from 3.9% in late 2013 to its highest point of 6.2% in late 2017, representing a market oversupply. To avoid recording a potential loss on the company’s book value, aircraft owners and leasing companies have been hesitant in lowering their official selling prices. Consequently, the pre-owned market’s inventory value has continued to remain high, while the transaction level remains low. In late 2017, ASG witnessed the market self-adjust with average asking prices decreasing and inventory levels reducing. Thus, inventory values began to decrease and there was an increase in total transactions. There are multiple reasons contributing to the market trend reversal: the increasing helicopter demand from the O&G market; the reshaping of notable helicopter leasing companies, which has impacted market conditions; and operators diversifying their fleet, reconfiguring aircraft from O&G configured to operational for other mission types. 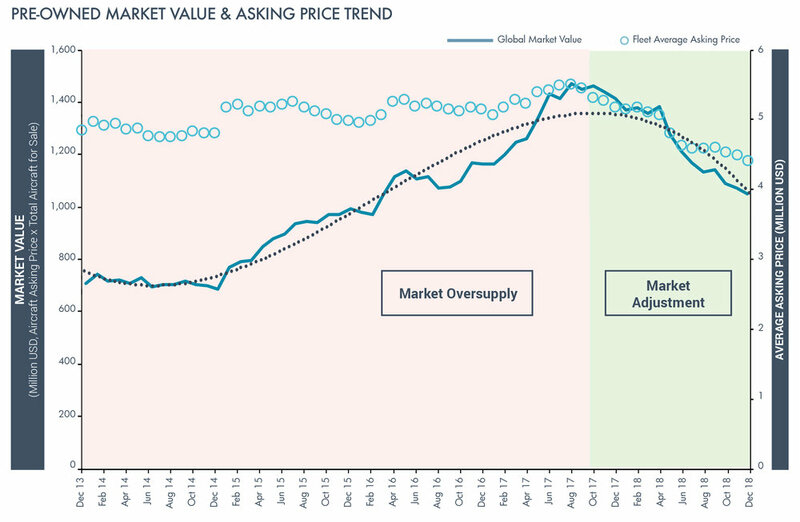 Although the current helicopter market is still suffering from the previous market oversupply, reflecting still-high average days on market and a relatively low transaction level, there is an increased demand based on the current market transactions. Data source: ASG and Jetnet. Transaction levels of pre-owned helicopters have seen a mild increasing trend starting from mid-2017. Meanwhile, the average age of the fleet sold is younger, down from 20-30 years old in 2017 (with a relatively lower transaction level) to the current 10-20 years old fleet being sold, along with a higher transaction level. The chart below demonstrates helicopter model market momentum during different period based on analyzed market data including the percentage of fleet for sale, aircraft transactions and average days on market. In 2018Q4, the market had more transactions, along with absorbtion of market inventory, compared to 2017Q4. The pre-owned helicopter market has been suffering from a market oversupply. This situation did not begin to recover until the end of 2017, when the average asking price of the pre-owned market dropped and more transactions began to take place. 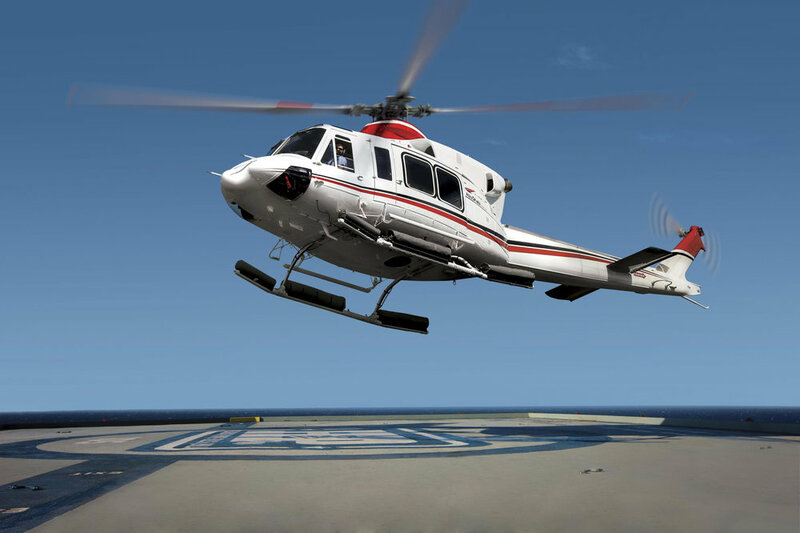 A shift in the current market demand – from medium/heavy helicopters to light helicopters. With less deliveries from OEMs in the future — particularly in the medium and heavy categories, the expectation is that the pre-owned market will stabilize with more inventory being consumed and a higher demand to meet.